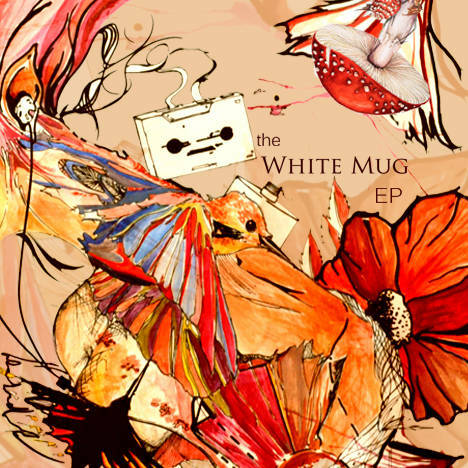 The White Mug EP | White Mug | OK Listen! White Mug believes in creating something real and live and that's what this EP is all about. Catchy melodies, rock n roll grooves, startling harmonica sections, cowbells and tambourine with guitar licks cutting through is what you can expect. The energy of White Mug translates all this into a sound never heard before. Most of the songs are on the happier side, though there is a twist to the tale, just like human emotions. Our sincere thanks to Jason Zachariah for the EP production and special trumpet performance for the TAP SONG. Realm for the cover, Bhama Narayanan, Renoy Robert, Soona Rachel, Yshu Curlz, Deepa Kurup, Tania Corrine and an endless list of you all. Love, Peace, Rock n Roll!!! !